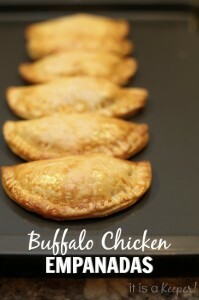 These empanadas made with Buffalo Chicken Sauce are great for a quick dinner or a fun party food! 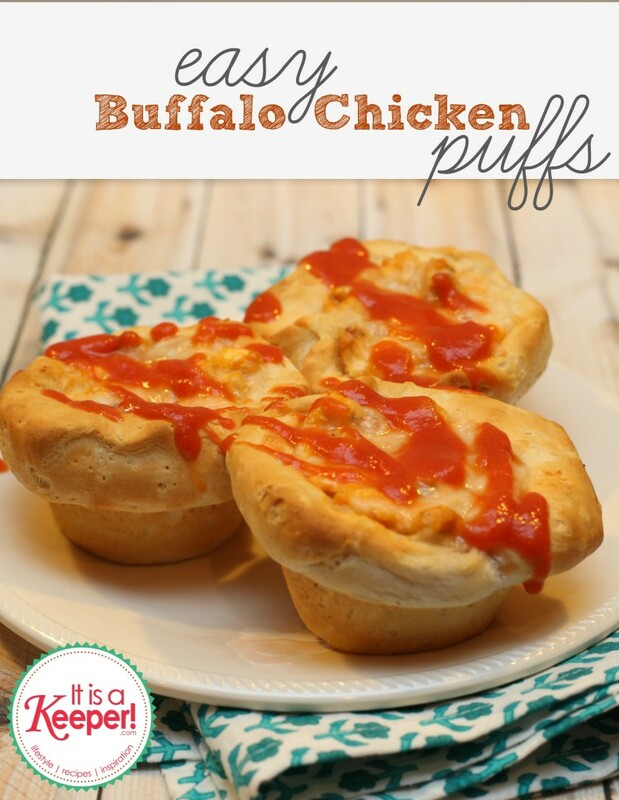 I am in love with all things involving Buffalo Chicken. You can easy tell by some of the posts I’ve shared, like these Buffalo Chicken Nachos or this Buffalo Chicken Sandwich. Seriously, I just can’t get enough of the spicy goodness. 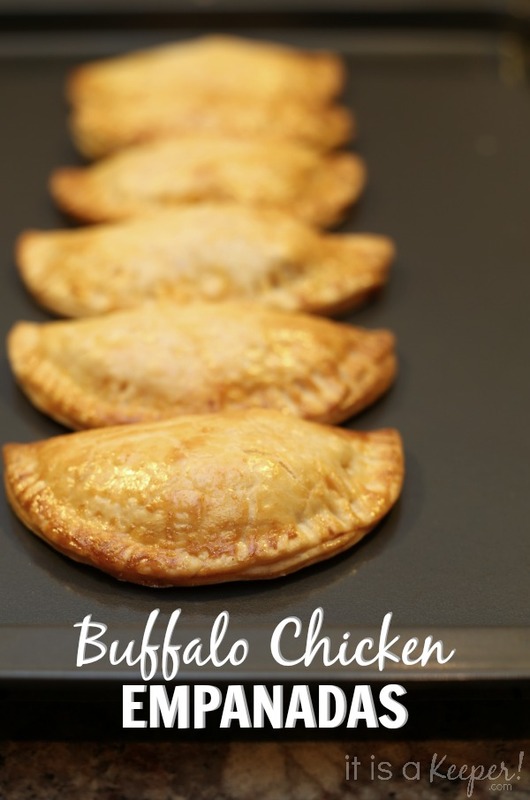 One day, I was dreaming of ways that I could incorporate more Buffalo Chicken into my life and I came up with these empanadas. Empanadas are a Latin inspired turnover. It’s basically pastry dough filled with your favorite fillings. 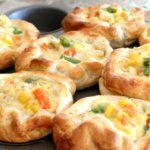 Traditionally, they are stuffed with meat, cheese and veggies. 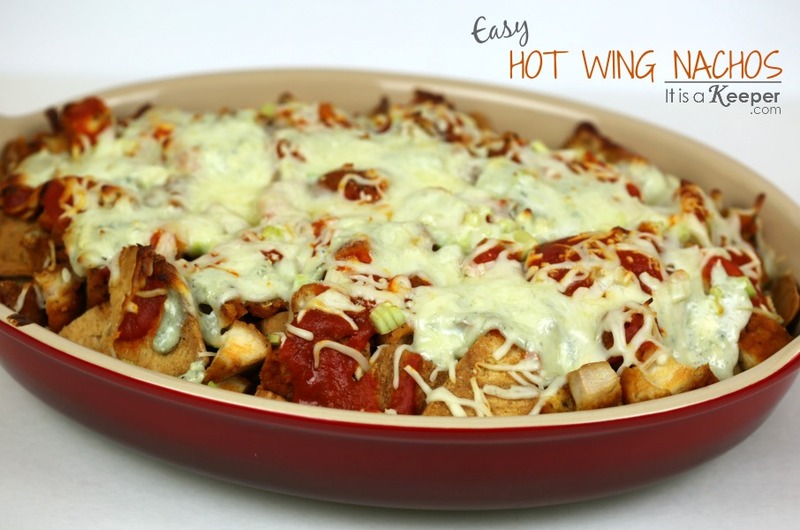 These are stuffed with chicken, hot wing sauce and cheese. Pure heaven. 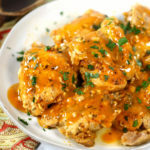 For most of my hot wing recipes, I use my homemade Buffalo Chicken Sauce. 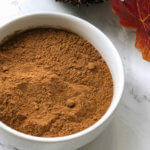 It’s an easy recipe and it makes a big batch (perfect for freezing). 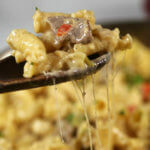 I also make my own Blue Cheese Sauce, too. 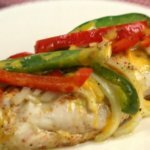 For this recipe, you can use homemade sauces or store bought. Either works perfectly. I like to make a double batch of these empanadas and freeze half for another time. Simply prepare the recipe up to Step 11, then wrap each empanada in plastic wrap and place in a zipper bag. 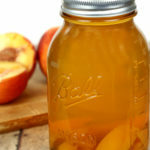 You can freeze these for up to 3 months. 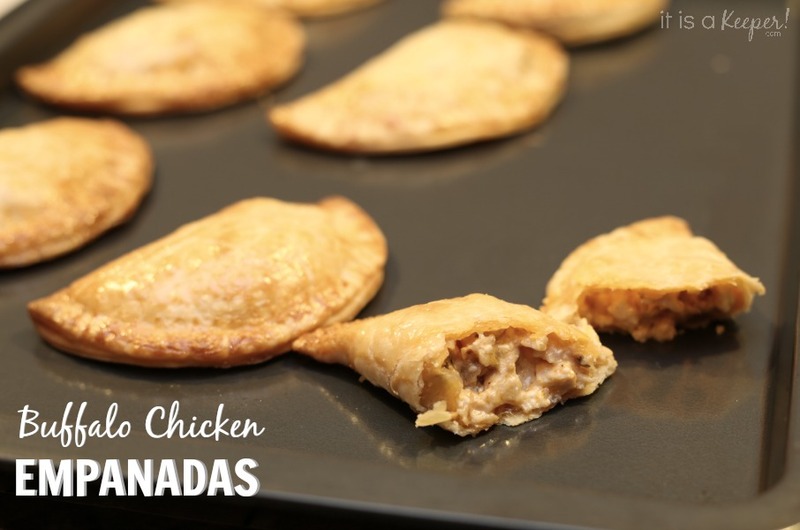 To bake the frozen empanadas, simply thaw in the refrigerator over night and continue with Step 12. To make it easy for me, I write the instructions on the zipper bag with a permanent marker so I don’t have to look up the recipe when I’m ready to make the frozen empanadas. 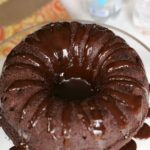 Scroll the bottom for the FULL printable recipe. 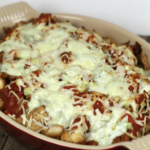 Mix together the chicken, wing sauce, cream cheese, mexican cheese and blue cheese dressing in a bowl; set aside. Unroll 1 piecrust onto a lightly floured surface and roll into a 15-inch circle. Using a 3 inch round cookie cutter, cut out rounds. You can re-roll dough scraps as needed. Unroll second pie crust and repeat until you have 12-15 circles total. 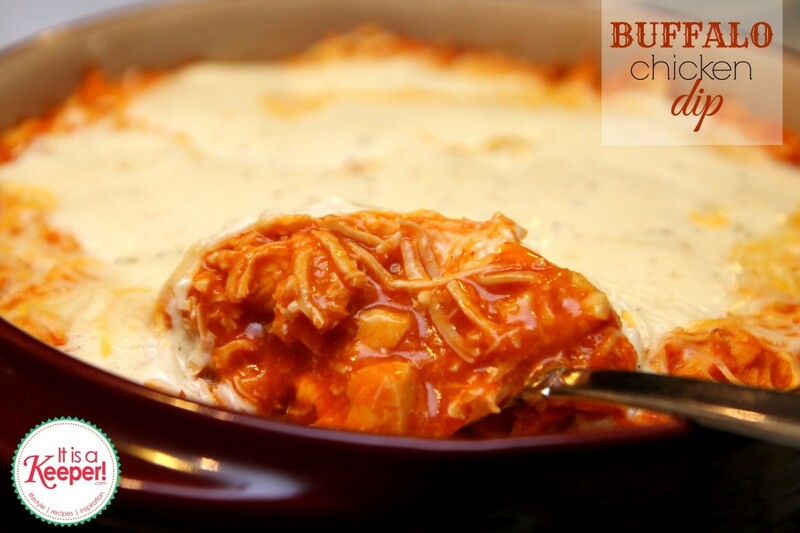 Place 1 heaping tablespoon of chicken mixture in the center of each round. Be careful not to over fill. Lightly brush the edges of each round with water. Fold the dough over the filling into a half moon shape. Press the edges with a fork to seal. Repeat with the remaining rounds and chicken mixture. Beat the egg with 1 tablespoon of water to make an egg wash.
Brush the egg wash over the top of each empanada. 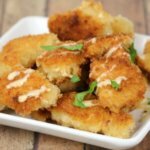 Arrange empanadas on a rimmed baking sheet. Yum-mo! I have stumbled and pinned and I’ll be making these soon! They are FANTASTIC!!! I made them a little bit ago and it was a giant hit with my sister and her boyfriend and their friends! !